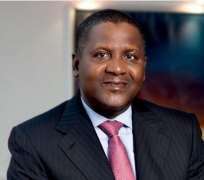 “I do not only want to be known as Africa’s richest man but the biggest philanthropist in Africa. I will continue to use my resources and my voice to help shape a better Nigeria and Africa as a whole”, these were your words at one of your empowerment programmes. I write this letter with the highest sense of humility, praying to Allah the Almighty that you receive it in your best health condition and humanitarian spirit. I would have preferred to place this as an advertorial if I had the means. But please accept it as it is. This is the second individual open letter I am writing. One was to the President of Nigeria on political grounds. Now I am writing to you on humanitarian grounds. I am sure that you do not know me, but we share some things in common which form the bases of this missive. Simply a Nigerian patriot from Ebonyi state, an advocate of humanity, peace and good governance, it may interest you that I have some noble ideas which you definitely would find interesting and beneficial to your humanitarian endevours but which require direct conveyance. As a Grand Commander of the Order of Niger (GCON), you have attained the second highest honour in Nigeria, awaiting the highest that is only reserved for the Presidents of Nigeria and I feel deeply in me that Nigerians will demand that you lead them one day. If it is God’s Will, you cannot resist it. And of nobility, you have been distinguished naturally, nationally and internationally. Though not a partisan politician, in view of the fact that every human being practices politics in different ways, you are an ardent proponent of good governance, peace and humanity which I so much advocate for but with the difference in the means. I know you, just like I have read and seen great heroes. I have benefitted from you directly and indirectly, just like millions of Nigerians and hundreds of millions of humanity have benefitted from your philanthropy and humanitarian gestures. At least, my people are benefitting from your Ramadan packages. Both Muslims and Christians are receiving aids from you like the Jaiz Zakat and Waqf Foundation does. I have witnessed Zakat distributions in the states of the Southeast and Southsouth where beneficiaries transcend religious lines. It is worthy to mention, indeed. The little more I definitely know about you is that you are an Al-Azhar University Alumnus which I am also; you are exclusively Africa's richest man, a business industrialist who has founded many Nigerian-rooted global industries of repute. You chair many intercontinental companies including Dangote Cement which is Africa’s largest cement producer and which produces 44 million metric tons annually and plans to increase its output 33% by 2020. Your name is a brand for sugar, spaghetti, salt, oil, flour and many agricultural products. Your presence in the oil sector is manifestly felt and when your refinery is finally completed, Nigerians will heave a sigh of relief that the unpleasant story of fuel scarcity will never be experienced again in Nigeria. Even as your great grandfather, Alhaji Alhassan Dantata of blessed memory, was the richest man in Nigeria sometimes ago, you did not follow the footstep of many children who naturally grew up with the entitlement mentality. You did not recline on the belief of some privileged children that “my father was”. Rather, you worked hard for your position in accordance with the divine insight which inspires the strive for sublimity in life accomplishments. I know of the poet who proclaimed: “Sublimity! Verily seeking sublimity is an obligation upon a Muslim; the best of the worlds leaned on us (Muslims); for sublimity, we are a progressive Ummah; for sublimity, here I am with my life and soul”. It is on record that at a very young age, you started developing the business spirit, not minding your background from a very wealthy family. I read you say these words: “I can remember when I was in primary school, I would go and buy cartons of sweets (sugar boxes) and I would start selling them just to make money. I was so interested in business, even at that time.” Nothing more explains your inborn dexterity, creativity and boundless determination to make a difference. Records show how football legends were attached passionately to the round leather from infancy. Also, it is on record how great inventors displayed inclination to their fields of excellence at nonage. Truly, you have made a difference in life. You have touched the lives of human beings, the creatures of God on earth. I pray for you and wish you well. My prayer for you is based on the grounds that your wealth has been a source of your strength in faith. Many have gone astray with little fortunes. Many have struggled but failed. Many have followed the devil’s path in the hard chase for worldly wealth and died half way without enjoying it. Such owners of the devil’s wealth do not have the heart to give, or they give for worldly recognition. But yours is Allah’s gift and that is why your broadmindedness in giving out to the poor and needy is immeasurable. Long live Dangote and companies! Millions of dollars have been donated to many charitable organizations in Nigeria. About US$1 million have been given to help the fight against the deadly ebola virus in Africa. Dangote Foundation with a US$1.25 billion endowment by yourself remains the biggest in the sub-Saharan Africa. It is envisaged to run independent operations, with focus on health, education, economic empowerment and disaster relief. The foundation, you have said, started in 1993 with the principle of “to whom much is given, much is expected”. The foundation is looking after the less privileged ones in the society. The foundation just began the disbursement of N130million to 13,000 women in Nasarawa state under its micro-grant scheme aimed at providing the disadvantaged and vulnerable in the society with an unconditional N10, 000 cash transfer to boost their household income generation, and targeted at a minimum of 1,000 women in each of the local government areas of Nigeria. On May 30, 2018, at the Eagle Square, Abuja, Vice President Prof. Osinbajo received 150 operational vehicles donated to the Nigerian Police by the Foundation. The foundation donated a well-equipped secondary school valued at N120 million to the Nawair-Ud-Deen Society of Nigeria in Lagos with the plan to be sponsoring 250 indigent students yearly. “I have already authorized my foundation to come up with a strategic plan to implement a scholarship programme for deserving less privileged children in this community,” were your words at the handover of the school building. In connection to this laudable gesture, over N4 billion has been expended in the areas of building classrooms, scholarship programme, upgrading infrastructure across various universities and behavioural change communication programme targeted at girls and women. I appeal that the foundation explore the possibility of establishing more that what Rev. Matthew Kukah Centre plans to build skills acquisition centres for almajiri children of the northern parts of Nigeria. These are just a few of the laudable humanitarian services the foundation is out to pursue. These are efforts targeted at aiding the government. These are part of what God demands of a man He has blessed. It shall be well with you. And may these gestures be extended to my people who are ready to benefit from the economical, educational, health, women and girl-child programmes of the foundation. And I pray to God the Almighty to continue to protect you, grant you peace of the mind at all times and keep you on the path to the eternal abode of His chosen servants. Ameen.